At about 4 our son was very often found on his father’s lap devouring Hemming’s Motor News and from then on has continued his avid interest in “old cars”. 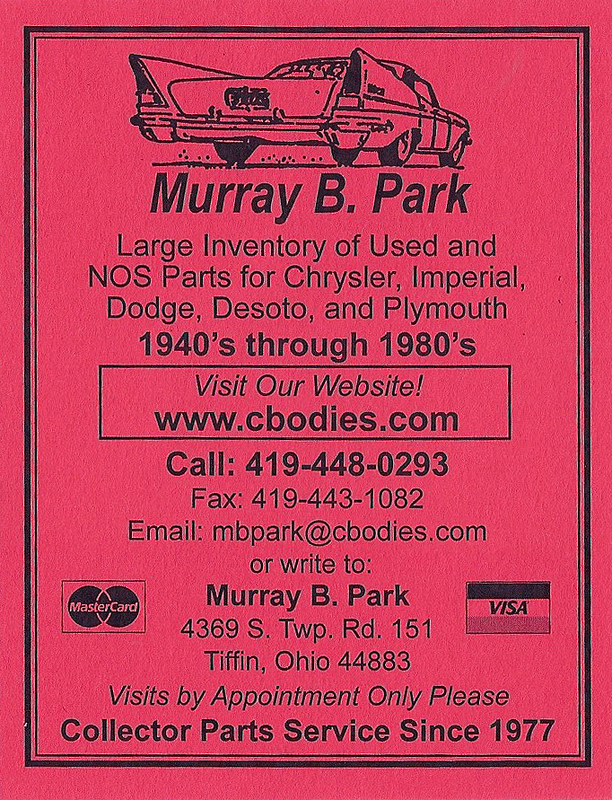 At 12 or 13 he started his own business, Murray’s Auto Parts, with a small collection of parts acquired at swap meets and from the local wrecking yard. Every spare minute after school has been spent stripping cars at the yard. Now he must rent a building to store his thousands of treasures, mostly Chrysler parts. 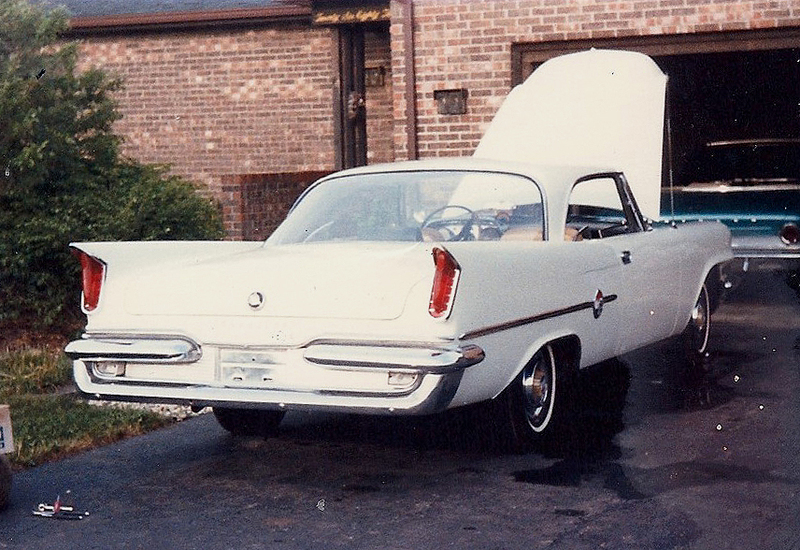 His Dad and I were a bit irritated to find our garages which were built for our collector cars, full of Murray’s Auto Parts! Each day when the mail comes we can be sure most of it is orders for our son to fill. He has shipped parts all over the United States and a few foreign countries. One goal he must have is to corner the market on all 67/68 Chryslers in our town! With his profits he has purchased six or seven Chrysler products, some rough parts cars, a nice ’67 New Yorker to drive when he gets his driver’s license, and a couple to repair and sell. His Junior and Senior years in High School should be great because he will spend part of each day at Vocational Training in Auto Body Repair. Probably his biggest thrill to date is putting a deposit on something he has only dreamed about, a Chrysler 300 Letter Car. With his grandfather’s financial assistance, he will be the proud owner of a lovely white 300E, still only 15 and unable to obtain a license, but hey, some things in life you have to wait for! and is still in business supplying parts to the old car hobby.